Meta Descriptions are one of the most important tools used in internet marketing and in SEO ranking. A well written Meta description gives your website a better advantage when it comes to search engine results thus are likely to increase the number of visitors visiting your site. In this article, I have highlighted some tips which you can use to write an Epic Meta description. Do not overlook the Meta description, (Make it catchy). When writing a good catchy Meta description, it should neither be too difficult nor time consuming. Create them in a simple way in order to make it easier to read and understand. Even though it looks self explanatory, it is not easy for a Meta description to have the landing ability. This is because they do not factor well into the algorithm of most search engines. Making them too much complicated makes it more difficult thus affecting the ranking on your website. You probably may have come across sites which have one keyword in their entire description. They have this keyword repeated several times in the website. In many cases, they try to change its format by writing the keyword in capslock. However, their efforts are in vain since most researchers view such keywords as spams and tend to avoid the entire website. The ideal Meta description should be brief, easy to read and should be engaging. A Meta description is meant to grab the readerâ€™s attention, to spark some interest and to encourage the researcher to find more about the topic he is searching. It is advisable to keep exclamation marks at minimum since they can give a negative feed back about the page. Meta description should have less than 160 characters. 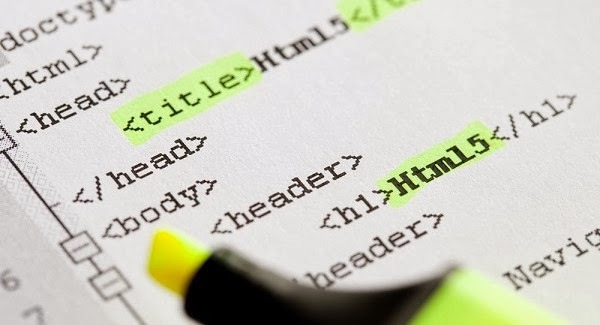 Without creating a defined Meta description tag, the search engine will find the text in the content of the page and use it for the description. This may not be a good representation for your site. In addition, the text contained in the page is usually cut to at least 160 characters thus may not be able to convey important information. Moreover, such texts tend to be very unclear and not easy to comprehend. Keeping the characters of your Meta description between 150 to 160 characters ensures that you maximize the available space and avoid your text from been compressed or cut off. As we have seen earlier, it is important to avoid abusing the keyword. Most searchers will view this as spam content. In addition, Google usually bold search queries in the description titles for the websites thus the descriptions tend to appear bolder in the search results. For this reason, it is important that you incorporate the keywords in the Meta description but you avoid over using the keyword. Remember, if a phrase or word in your Meta description matches with the original search, the bold terms are likely to attract more attention. As we know, human beings are simple creatures. We love been told what to do and when to do it. Reserve the last 50 to 60 characters of your Meta description for your call to action. An example of a call to action includes “€œread more about”€, “€œfind out more”€, and “€œdownload more”€. These messages make the reader want to read more and more. Each page in your website should be able to convey different information. This calls for having a unique Meta description for each page. Further more, Google also advises it’€™s users to have different Meta descriptions for each page so as to increase the site’€™s ranking. Also, having identical Meta description for all pages will not be helpful to the individual pages when the search results appear. This is because they will appear in a boiler plate text which is not attractive. Try as much as you can to have a single Meta description for each page. Before unveiling it to the public, always ensure that it works properly. Test, monitor and adapt your activities in order to check what’€™s working and what’€™s not working. This goes for both your SEO Meta description and your websites activities. You do not want a situation where you post something that does not work or is doomed to fail. Always try to include your company name in your description. This makes it easier for people to locate you when browsing the internet. As I conclude, remember that as technology changes more competition increases. However, one thing is for sure: quality websites will never miss visitors. Ensure that you follow these tips to make your website worth visiting by creating attractive Meta descriptions.